Something about three-eyed crows creeps me out. But I suppose that's the point of the opening of episode four: creepiness. In a way, "Cripples" mirrors "Winter is Coming" with its opening scene, presenting something which feels and appears like a strange nightmare, but which doesn't have a direct tie to the episode at hand (at least, not one which is available to a cursory viewer). The impact of this scene will likely be felt later, much as the introduction to "Winter is Coming" will reverberate through future episodes. Samwell Tarly (played by John Bradley, who may very well be the most perfect actor for this role). Jon Snow's narrative is not as compelling as that of the Starks, but not because Snow is uninteresting or the Wall is boring. Quite the contrary. The problem with Jon's narrative is that what we've been expecting to happen hasn't happened yet, whereas some movement has been occurring in the Stark's search for truth. Most of Jon's narrative is about character growth. We see Jon rising above his lesser status, growing as a leader and a man, and navigating the very different world of the Wall. But the terror we saw in "Winter is Coming" hasn't hit Jon's world yet. "Yet" is the crucial word. 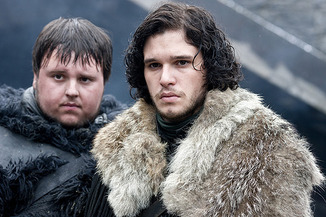 But we have Samwell Tarly, who is as craven and pathetic as readers of the series could have hoped. Even the added scenes with Sam are welcome in "Cripples." Perhaps this is because he fits into the title of the episode, but I think it's more because Sam shows us who Jon Snow will become even while Jon struggles to earn the respect he feels he deserves from those above his stature. But the Starks are where the clearest danger lies. 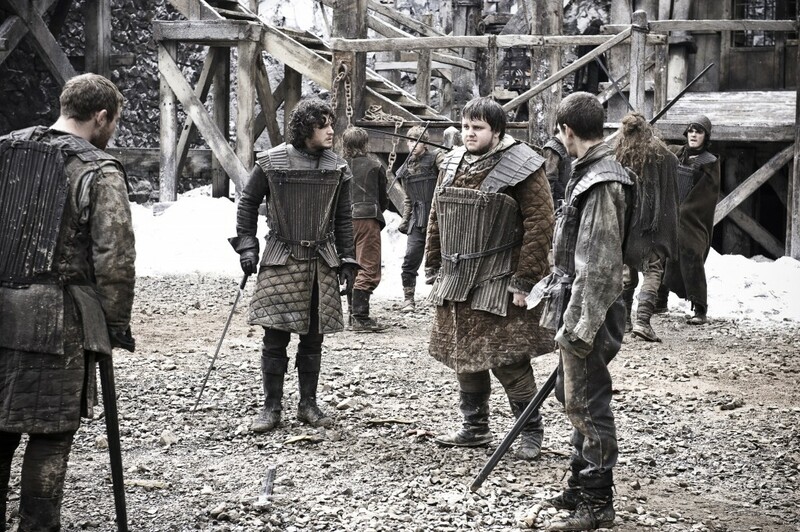 As much as Jon's superiors bear down upon him, their threats feel somewhat empty. We're not worried that Jon will end up dead in the morning -- poisoned, stabbed, killed in battle, or what have you. Not yet. 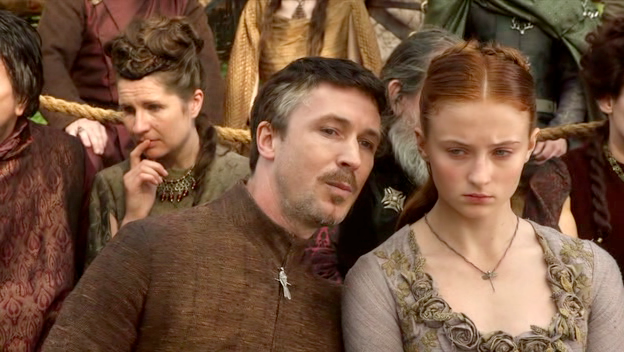 But we are worried about the Starks, who are in a dangerous place and playing a very dangerous game. The cliffhanger at the end of "Cripples" only makes this danger clearer. For me, this is the most interesting part so far in the series. I want to know what's going to happen to the Starks: Will they find out the truth and bring it to the King? Will they die trying? Will Eddard be the next Hand to die under mysterious conditions? It's for this reason that I've begun reading ahead in the book. I can't wait a week to find out. I need the answers, and if not for the fact that HBO's A Game of Thrones is so good at making many of its characters loathsome human beings, I might not be reading at all. Despite my fascination with the Starks, "Cripples" has trouble relaying their narrative. The episode tries to lead us into its ending, but it never quite gels. There's a mild disconnect between Catelyn, Eddard, and the children. They all receive some screen time in "Cripples," but the progression they each are supposed to suggest isn't quite there. The ending is a surprise for those who haven't read the book, but that surprise lacked some of the impact it deserved, despite the fact that "Cripples" is the catalyst for all the major events that follow. I still enjoyed the episode, but it certainly was missing something (an emotional charge or something resembling a more linear plot). I don't particularly care for filler scenes, nor do I care for any scene which draws me away from the characters I care about. To be honest, I would much rather spend more time with Arya, who gets very little attention in "Cripples," than with Viserys or King Baratheon (unless Eddard is a part of the latter). Without the aforementioned scenes, the writers could have spent more time showing Eddard's investigations or even the tournament scene, which would have added some entertainment to a very stark (no pun intended) narrative. There's much more that could have been done, but instead we are gifted with a broken record. I've made similar complaints about previous episodes. But, again, I am glad that these scenes are short and that most of "Cripples" is spend focusing on the important aspects of the story. Even with these flaws, the show is still a damn fine one. 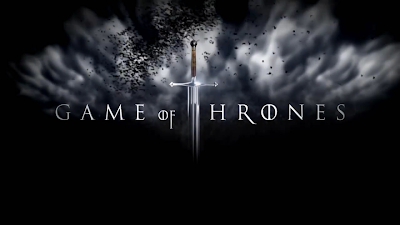 There are few adaptations that I have enjoyed as much as I am enjoying A Game of Thrones. All I can hope for is that the quality of the series remains high. Nothing can kill a good series like a couple of muddling middle episodes. "Cripples" isn't quite muddling, but it does hint at a problem which may not be properly contained. You'll see what I'm talking about when I get to episode five.